Poland was awarded as the „New Holiday Destination of the Year 2018„. Competition was organized by China Travel Agency magazine. The statuette in this category was honored by our country as the only one from Europe. ” We are pleased with another award from the Chinese market. It confirms that tourists from the Middle Kingdom are more and more interested in our country. This can also be seen in the statistical data. In 2017, a record number of 138 thousand tourists from China visited our country. More importantly, the upward trend is maintained. In the first half of 2018 we got 20% more Chinese tourists than in 2017 in that period „– says president of Polish Tourist Organization Robert Andrzejczyk. 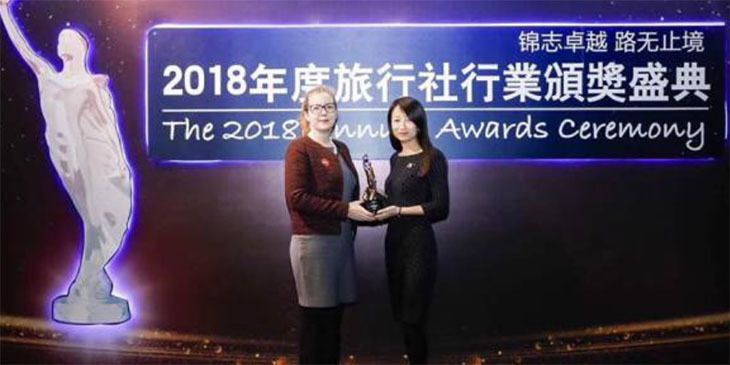 Previously Poland received the prestigious National Tourism Award in the category „Most Popular Destinations in 2017” awarded by National Tourism Media – The publisher of the National Tourism monthly – the most important B2B magazine for the Chinese tourism industry.